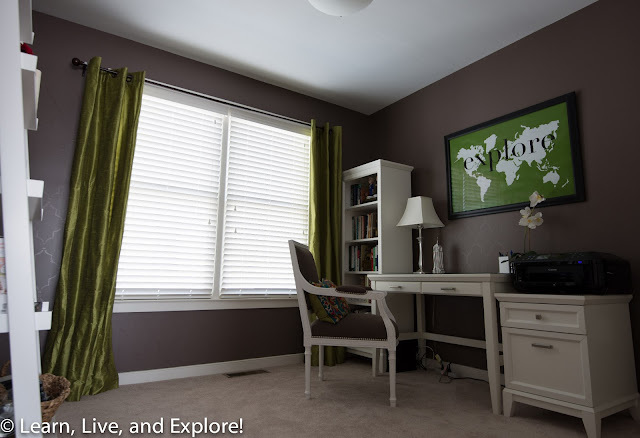 Office Makeover ~ Learn, Live, and Explore! I don't know how it can be possible with how crowded my calendar is and how long my to-do list is, but I must be bored because I can't stop wanting to redecorate every room in my house! Which is crazy since I just moved into this house a little over a year and a half ago. While my guest room had a case of the "dulls" (post coming soon), my office was the victim of a poor paint color choice. Of course, it looked perfect in the paint chip. Isn't that how it always goes? 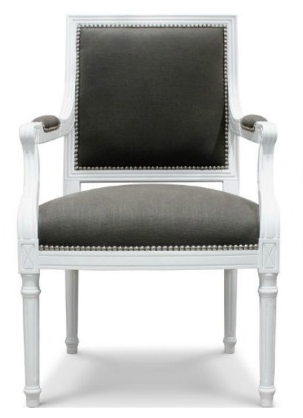 So while Motivation #1 was a poor color choice that made my office look more like a little boys room, Motivation #2 was an amazing chair from Jonathan Adler that I fell in love with after seeing it on a T.V. show. 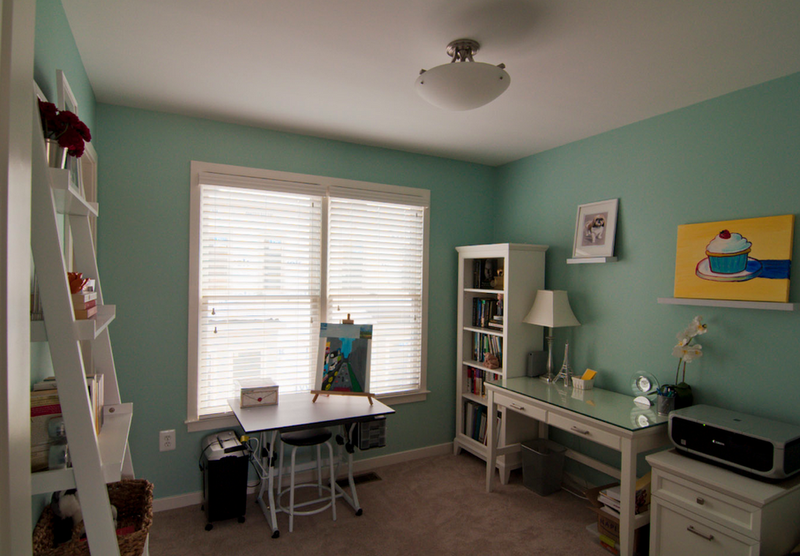 This office makeover started with the paint color. The best way I could describe the color I chose is that it's an instant hot chocolate powder (grey/brown) color. Officially, it's Sherwin Williams color #SW7505 Manor House. Unlike the rest of my house with it's simple flat color walls, I wanted to make this room stand out. I've been admiring some photos on Pinterest of stenciled pattern walls, so I searched on Etsy for stencil makers and found the Merrakech Trellis stencil from Cutting Edge that was exactly what I imagined for the room. Rather than using two colors, I wanted to create a subtle sophistication by doing a tone-on-tone look where the pattern was done in a semi-gloss and the background in an eggshell/satin of the same color. I decided to have the room painted professionally to save some time, then I would do the stencil myself. 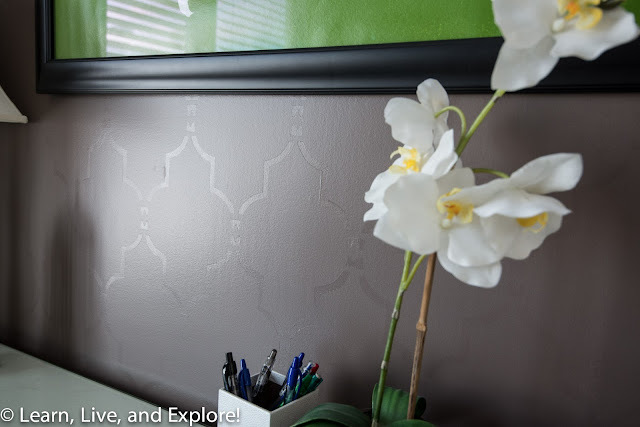 What I couldn't possibly have imagined was just how much work stenciling a room could be! It took a whole weekend, and that included using multiple stencil pattern sizes, cutting the stencil down to cover small areas around trim by the window and closet, and hand painting the pattern near the ceiling, floor, and wherever the stencil would not fit. Not to mention the in between drying time - for the stencil and the wall. Whew! A lot of work, but worth it I think. Next, I needed to add a little color back into the room since I removed it with the paint choice. I've never been a drapery person, but this time I knew it was the right route. I went to Calico Corners and G Street Fabrics to find the perfect fabric that matched the ideas in my brain. 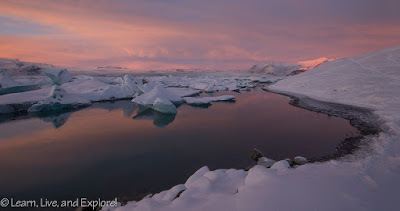 I found some that were ok or close to what I was looking for, but I wasn't very pleased with the idea of settling. In a last chance effort, I stopped at retailers that sell prefabricated panels. Target and Pottery Barn were a bust, and just before I was about to give up and resign myself to spending the next weekend sewing, I made a quick stop at Cost Plus World Market and found exactly what I needed! And as a bonus found an accent lamp for another room in my house. To bring the color across the room, I found a bolster pillow at Pier 1 for the chair that had a very similar silk shantung green backing and fantastic, vivid colors on the front. Finally, to complete the room, I hung a present from my good friends - a framed print of a world map with the text "EXPLORE." Perfect, right?